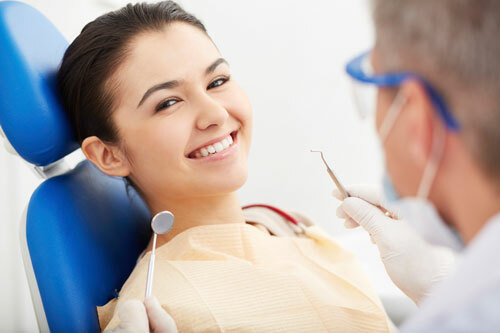 So you've had scaling or root planing procedure and now we've sent you home with a clean bill of tooth health. Great! Depending on the severity of the issue these procedures could leave your mouth tender, and in need of some extra special attention. Here are some tips that will help you take great care of your teeth after they have received a periodontal makeover! Your tissues and teeth have been through a lot. They had a decent amount of gunk on them that wasn't doing you any favors and then we removed all the gunk. For the first week or so after scaling and root planing you can expect your teeth and gums to be a bit sensitive while they re-adjust and heal. While brushing and flossing, be thorough but go easy and keep the pressure and intensity low. Rinsing your mouth out a few times a day with salt water can soothe your inflamed gums and wash away food debris that builds up around your teeth after meals. Sometimes after scaling and planing, your teeth can be sensitive to sweet foods, and a salt water rinse can help to subdue the discomfort. There is a good chance that after this procedure your teeth will be sensitive to sugar and acidic foods and beverages. Stinging is a common sensation in teeth that have recently been freed of tartar that are exposed to sugary treats. By limiting your intake of such foods you are not only cutting down on your discomfort, you are increasing the chances of the successful rehabilitation of your teeth. There is a good chance that you will need a few follow-up appointments to finish your scaling and root planing procedure. Make sure you don't miss any as every single appointment is needed to bring your oral health back to a good place. Please contact us if you have any questions about scaling and root planing.